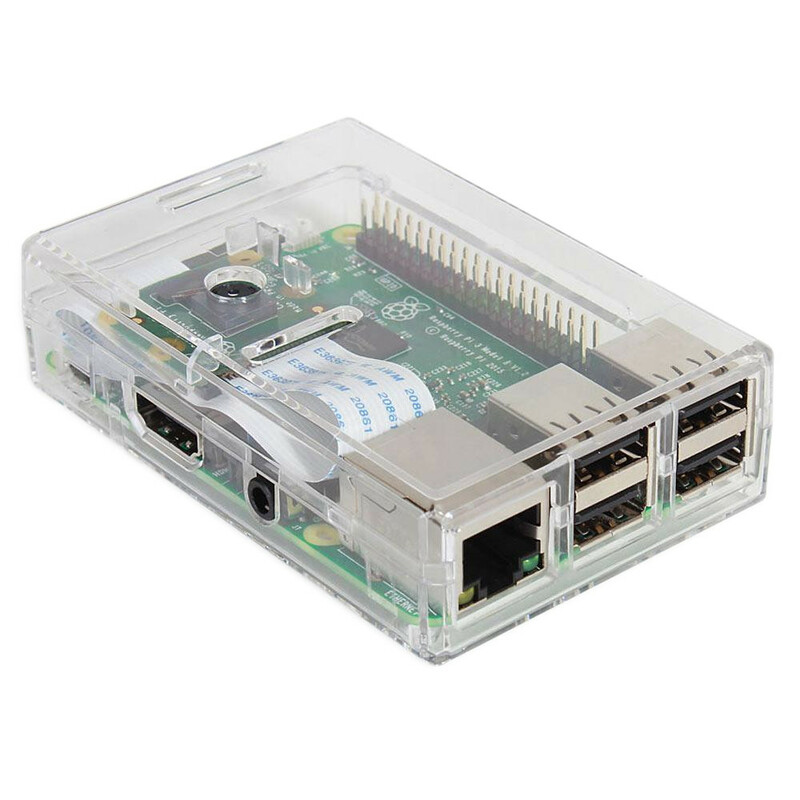 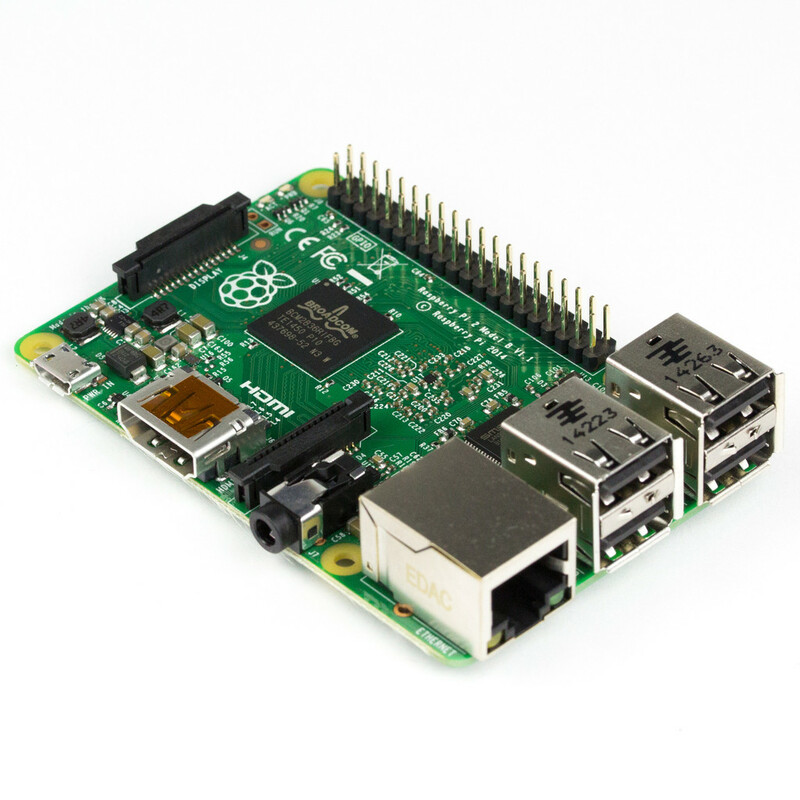 This Raspberry Pi enclosure was designed to allow maximum use of the Raspberry Pi board. 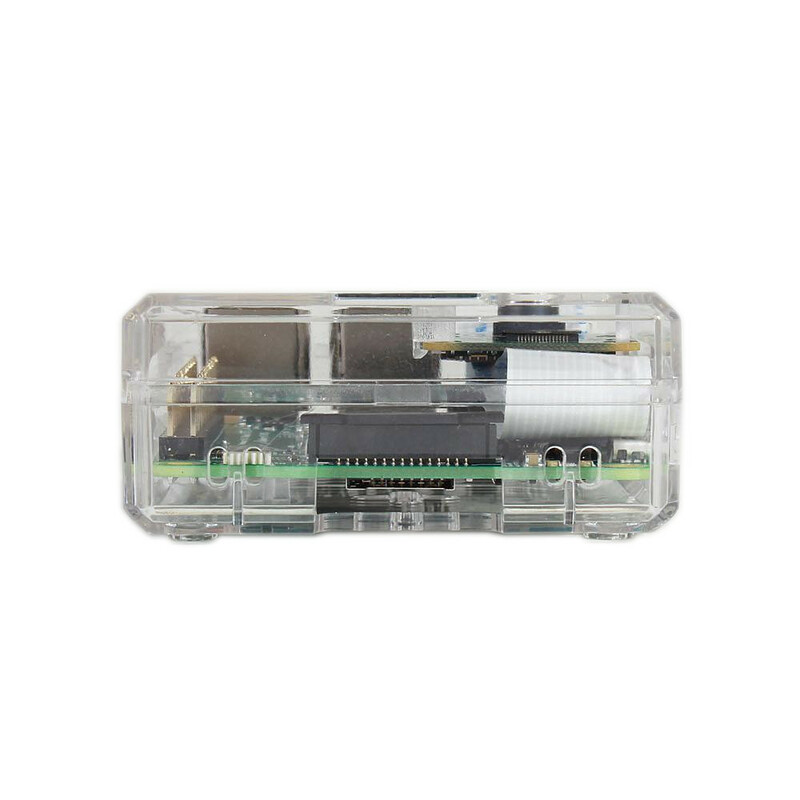 It's translucent design allows viewing of the status LED's and vents allow airflow through the case to keep the Raspberry Pi cooler. 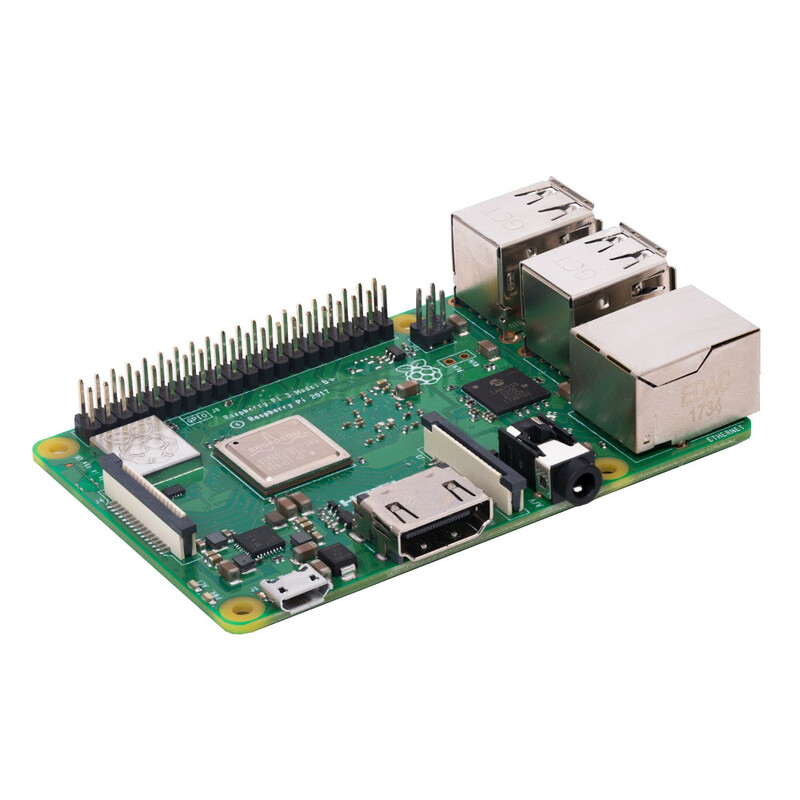 Fits the Raspberry Pi 3 Model B as well as the Raspberry Pi 2 Model B boards. 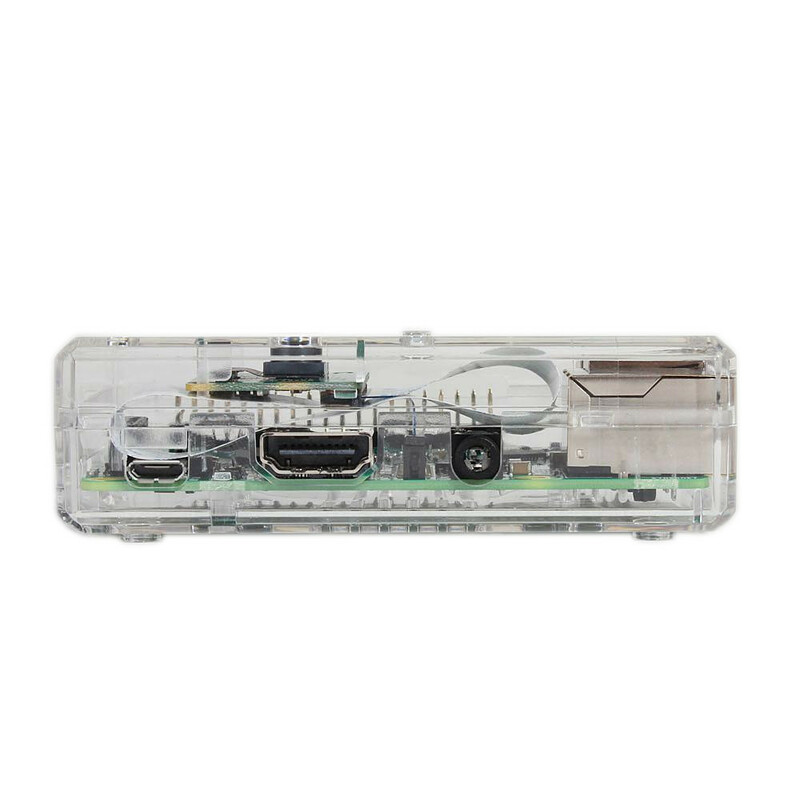 Smooth finished clear plastic moulding. 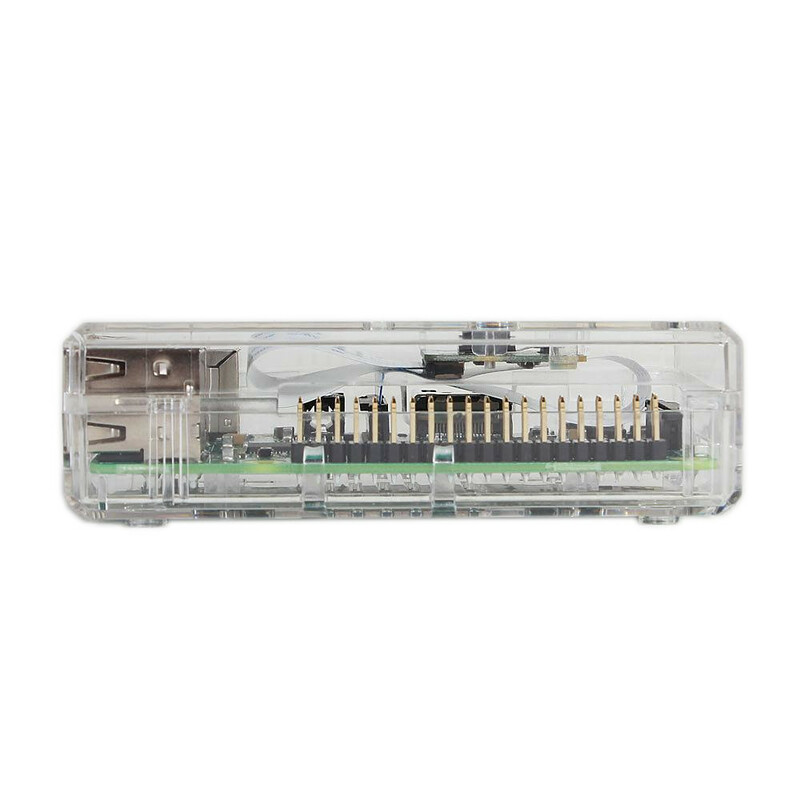 The Raspberry Pi snaps into clips on the sides of the base and can also be used without the cover to provide easier access to the GPIO and JTAG pins. 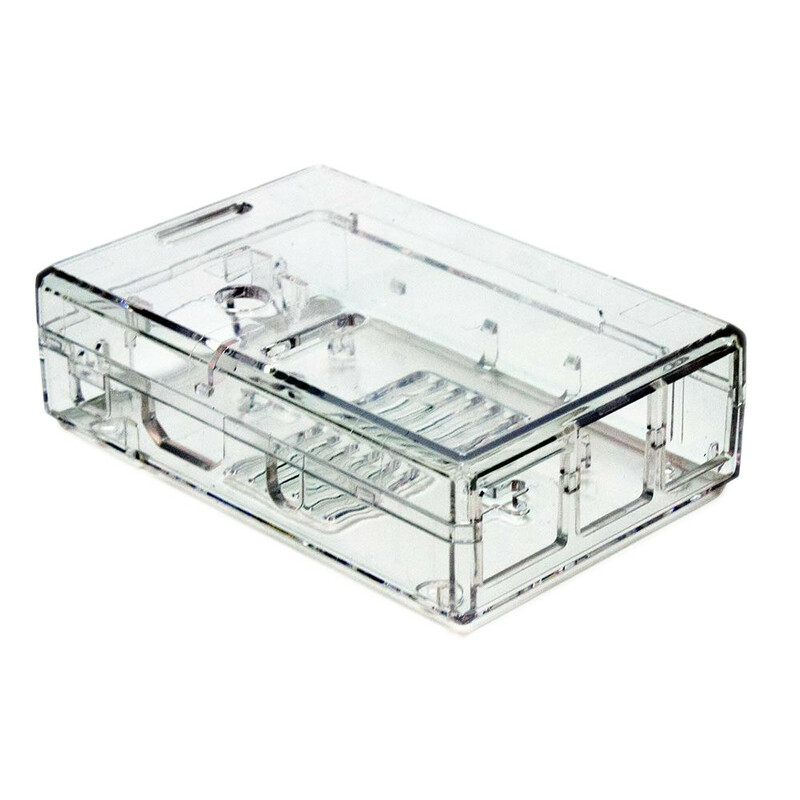 Base features two screw slots for vertical mounting. 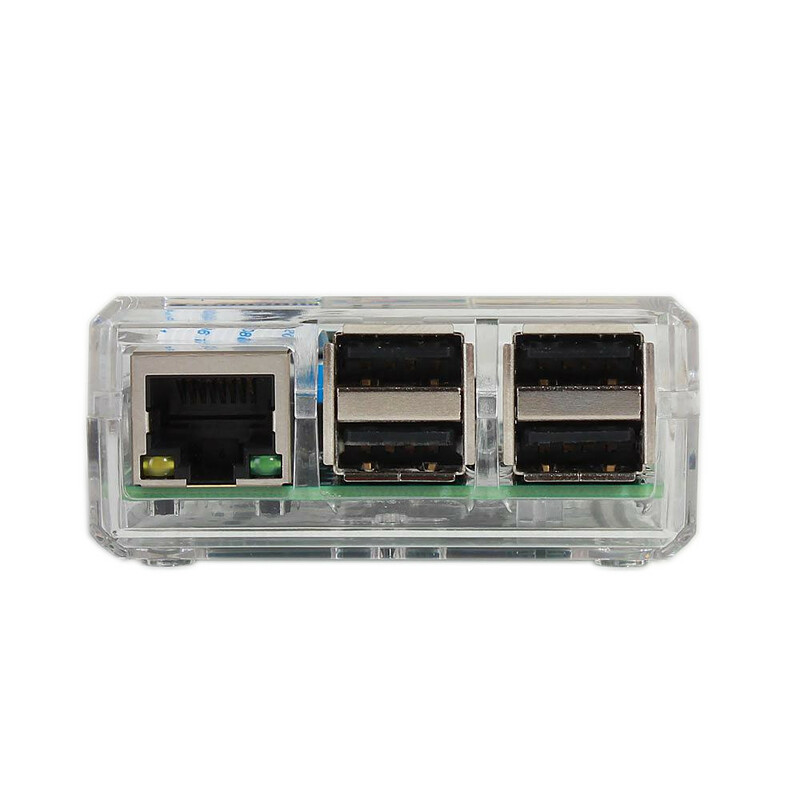 Case cover includes mounting holes for the Pi Camera modules. 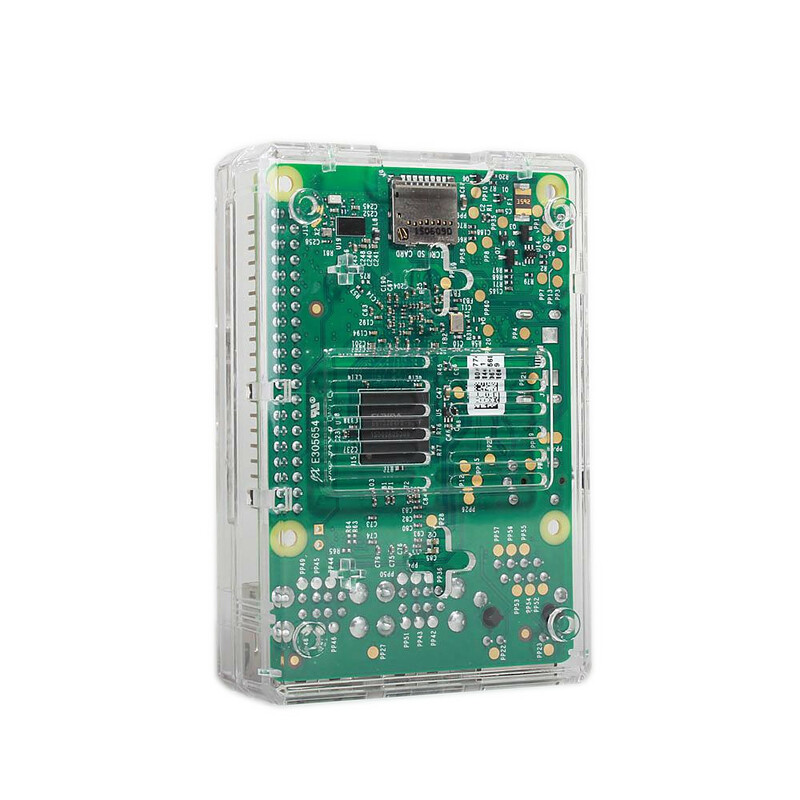 Cover can be easily removed without the need to unplug any cables. 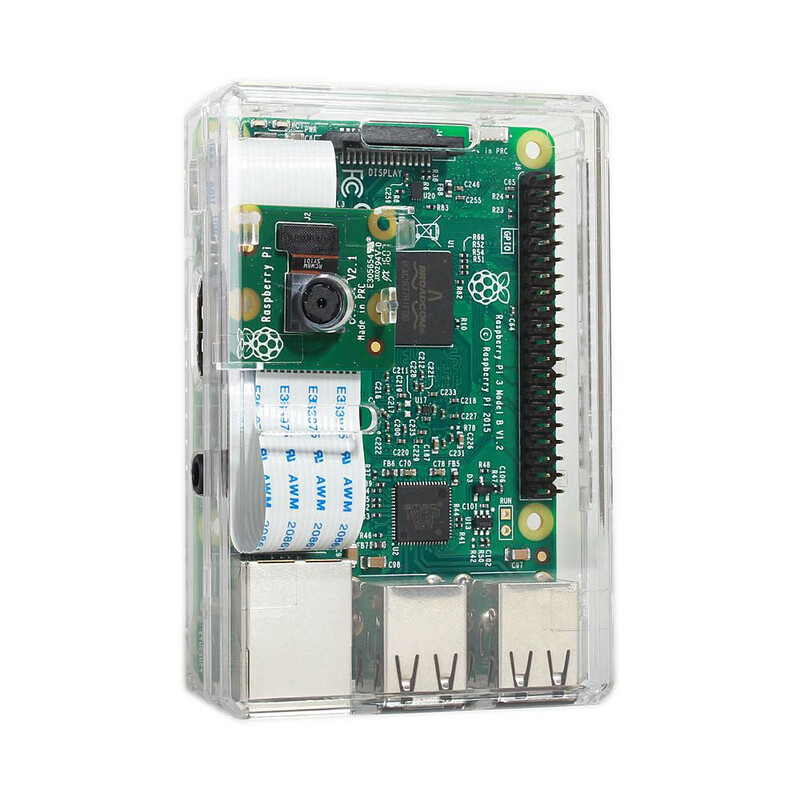 Vented base and cover for cooling.